China has launched its first communication satellite on 22nd December 2018 to offer broadband internet services to users worldwide using a Long March 11 carrier rocket which took off from the Jiuquan Satellite Launch Centre in north-western China. The satellite aims to rival Google and other companies which have similar plans for providing Internet services worldwide. It is CASIC’s (China Aerospace Science and Industry Corporation) first satellite launch under China’s Hongyun project. The government of Burundi has declared Gitega as the country’s new political capital on 22nd December 2018. Bujumbura, the previous capital of Burundi, will serve as the economic capital of the country. President Nkurunziza had made this promise of shifting the capital in 2007. Burundi is a resource-poor, underdeveloped landlocked African country which gained freedom from colonial rule in 1962. Burundi was ranked as the world’s least happy nation in the World Happiness Report 2018. The tax rate on 23 goods and services has been reduced by the GST Council on 22nd December 2018. These goods include movie tickets, TV and monitor screens, power banks and others. After this reduction, only 28 goods are left in the highest tax bracket of 28 percent. The new GST rates will be applicable from 1st of January 2019. Defence Minister Nirmala Sitharaman on December 22, 2018 launched the Information Fusion Centre – Indian Ocean Region (IFC-IOR) at Information Management and Analysis Centre (IMAC) in Gurugram. The IFC – IOR shall be a collaborative construct that will work with partners, countries as well as international agencies to enhance maritime security and safety. The Indian Ocean Region is vital to world trade and economic prosperity of many nations, as more than 75 per cent of the world’s maritime trade and 50 per cent of global oil consumption passes through the IOR. 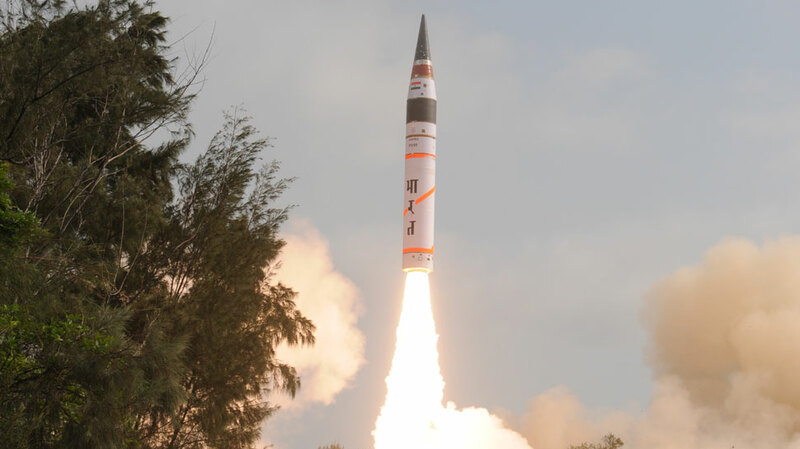 India on December 23, 2018 successfully test fired nuclear-capable long-range Inter Continental Ballistic Missile Agni-IV. The strategic surface-to-surface missile was flight tested from the Integrated Test Range (ITR) at Dr Abdul Kalam Island off Odisha coast. The Agni-IV missile was designed and developed by Defence Research and Development Organisation (DRDO). It has a strike range of 4,000 km. It is 20 metres long and weighs 17 tonnes. Patrick Shanahan, Deputy Secretary of Defense of US, will be taking over as the acting US Defence Secretary from January 1, 2019, replacing James Mattis, who resigned recently. In his resignation letter, Mattis had offered to stay on for two months in order to facilitate a smooth transition. However, the President announced Shanahan, who is currently serving as the Deputy Secretary of Defense, as the replacement of Mattis two months earlier than planned. India and China concluded the ‘Hand-in-Hand’ military exercise on 22nd December 2018 in China’s Chengdu city. Started in 2007, this was the 7th edition of the ‘Hand-in-Hand’ military exercise. This year’s exercise, which began on 11th December, focused on urban terrorism. The previous edition of ‘Hand-in-Hand’ that was held in 2016 in Pune had focussed on counter-terrorism drills in non-urban areas. The Union Government has decided to set up an expert committee to look into all the taxation issues being faced by startups and angel investors. The key objective behind the move is the promotion of startups in India. The CBDT recognises that the Startups are going to bring lot of innovation to the country and therefore, have to be supported in every possible manner. The committee, which will be set up by the DIPP, will primarily look into the grant of tax exemptions and other connected matters. 1. Which the Burundi’s new political capital? 2. According to the new GST rates, how many goods are left in the highest tax bracket of 28 percent? 3. Who launched Information Fusion Centre – Indian Ocean Region (IFC-IOR)? 4. What is the strike range of Missile Agni-IV? 5. Who will be taking over as the acting US Defence Secretary replacing James Mattis? 6. When was the Hand-in-Hand military exercise conducted for the first time? 7. Where was the Hand-in-Hand military exercise held in 2016?